A judge has ordered Montana Rep. Greg Gianforte to be photographed and fingerprinted for assaulting a reporter, opening the possibility of the congressman's mug shot to be used by political opponents next year when Gianforte is up for re-election. Justice Court Judge Rick West ordered Gianforte, a Republican, to report by Sept. 15 to the Gallatin County Detention Center in Bozeman, Montana, to be booked for the assault charge. The judge issued the order last week and it was first reported Monday by the Bozeman Daily Chronicle. Gianforte spokesman Travis Hall and the congressman's attorneys did not immediately return phone messages seeking comment on whether he would appeal the ruling. 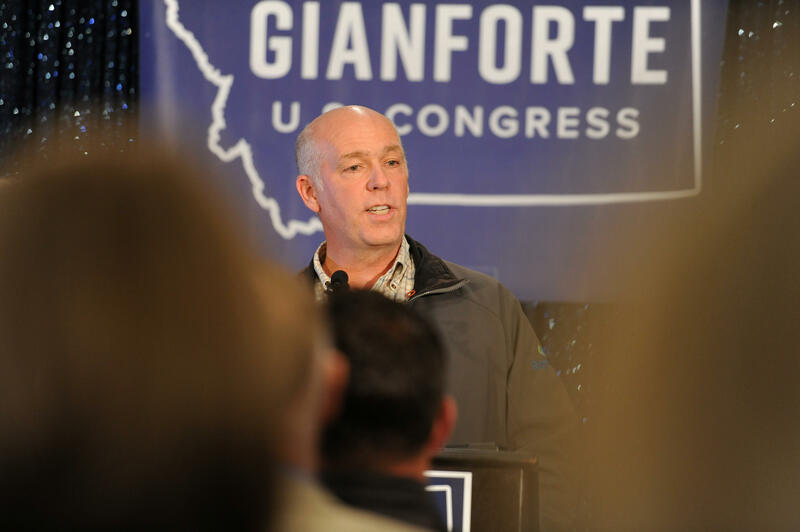 Gianforte had argued that he should not have to be photographed and fingerprinted because he was never formally arrested for attacking Ben Jacobs, a reporter for Britain's the Guardian newspaper. Jacobs tried to ask Gianforte a question about health care legislation on May 24, the eve of Gianforte's election. But prosecutors countered that Gianforte, even though he pleaded guilty to a misdemeanor without being arrested, was still subject to the formal arrest booking process at the jail. Jacobs said Gianforte "body slammed" him and broke his glasses. Audio recorded by Jacobs documented the sounds of a scuffle followed by Gianforte yelling, "Get the hell out of here!" Gianforte's campaign initially characterized Jacobs as the aggressor, but Gianforte pleaded guilty to the misdemeanor charge in June and said in an apology letter that he alone was responsible for the attack. The day after the assault, Gianforte defeated Democrat Rob Quist in the special election to replace Interior Secretary Ryan Zinke as Montana's only congressman. Gianforte has already filed paperwork to run for re-election in 2018 and has one Democratic challenger so far, Billings attorney John Heenan. Gianforte contested the judge's original order then that he be booked, fingerprinted and photographed. His attorneys said the judge did not have authority to order a defendant to be photographed or fingerprinted and argued that Gianforte was exempt from the requirements because he was charged with a misdemeanor, not a felony. West said in his order, signed last Thursday, that "the Court has authority to order fingerprinting and photographing. If Gianforte doesn't comply by Sept. 15, he will be in contempt of court, West wrote. It's virtually guaranteed that Democrats will use a Gianforte mug shot to try to convince voters not to vote for him in the next campaign. Montana Democratic Party spokesman Roy Loewenstein said Monday that the mug shot is part of Gianforte's story. "We're intending to help explain to Montana voters who Gianforte is," Loewenstein said. "We're going to make sure they see the complete record." Gianforte was fined $385 and ordered to perform 40 hours of community service and 20 hours of anger management counseling. He also apologized to Jacobs and gave $50,000 to the Committee to Protect Journalists. Gianforte plans to work off his community service sentence with a Bozeman organization that builds custom wheelchairs for children.